So, you have read my previous post on the role of interest rate in forex trading. Now, I am going to write this post about the role of security/bond purchase in forex trading. You already know that authority to monetary policy takes the security/bond purchase decisions. Here I am talking about government/public security/bond purchase. If you are not a beginner and introduced with the economic calendar, obviously you know the effect of security/bond purchase in forex. The question that arises in the mind is "Why does the authority to monetary policy need to take security/bond purchase decisions?" The simple answer is that to control the money supply in the economy. We already know the three common ways of monetary policy decisions to control the money supply in the economy. From the previous post you already know, how money supply is controlled by increasing and decreasing the interest rate. You also know the advantages and disadvantages of increasing and decreasing the interest rate. When the authority to monetary policy wants to keep the interest rate higher, or think that decreasing interest rate is not a wise decision, it increases or decreases the money supply with the security/bond purchase decision. Security/bond purchase is called stimulus measure in the language of monetary policy. The public securities/bonds are issued by the government to the public. 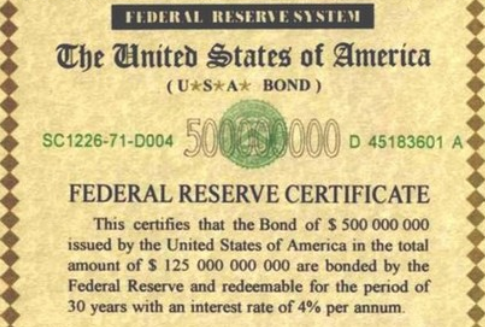 People buy these securities/bonds to earn the interest or fixed profit. When the interest expectation in an economy is growing, the people buy the public securities/bonds as an investment. Government issues a piece of paper to the people and receives the cash. As a result, the money supply in the economy decreases. When the authority to monetary policy decides to increase money supply in the economy without decreasing the interest rate, it purchases the securities/bonds from public and returns them cash with interest. This time people get cash at hand, which increases the money supply in the economy. So, security/bond purchase is another tool available to the authority to monetary policy to increase the money supply in the economy. The most suitable time of using this tool is when the interest rate is lower, but the money supply in the economy fails to boost the economic performance. In forex, the security/bond purchase is good news for the traders because it increases the interest rate expectation by increasing the money supply in the economy. When the authority to monetary policy decreases the bond/security purchase, it means that the money supply going to be decreased hence interest rate expectation. It is not a wise fundamental analysis, if you just wait for the increase in bond/security purchase by authority to monetary policy rather analyze the situation and predict it. Dear Traders, if you have any suggestions, questions, or complements, please drop a comment below.